The Smithsonian’s National Museum of African Art today announced that the Sultanate of Oman will give $1.8 million to support a series of programs celebrating Omani and East African arts and culture. This is the largest donation to the museum to date. This partnership has been made possible by the Sultan of Qaboos Cultural Center in Washington, D.C.
Left to Right: Virginia Clark, Director of Advancement, Smithsonian, H.E. 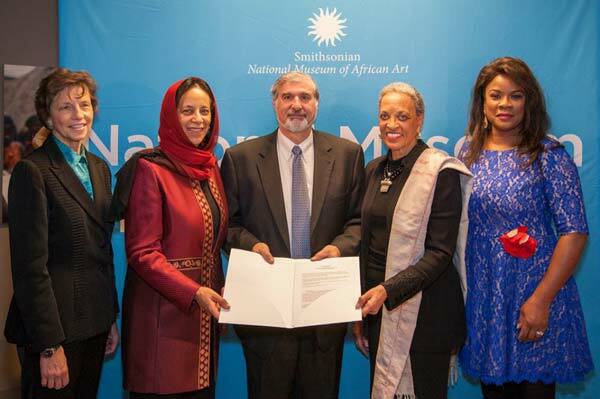 Hunaina Sultan Ahmed Al-Mughairy, Ambassador of Oman to the U.S., Richard Kurin Smithsonian’s Under Secretary for History, Art, and Culture, Johnnetta Betsch Cole, Director, Smithsonian’s National Museum of African Art and mezzo-soprano Denyce Graves. 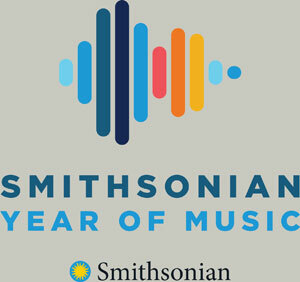 Beginning in 2014, the museum will launch a multiyear series of programming, Connecting the Gems of the Indian Ocean: From Oman to East Africa, which will highlight the cross-cultural connections of East and North Africa with those found in the Middle East. It will showcase the evolution of Omani arts and cultures, the beauty of the arts in Oman and its connections to the East African Coast. With a population of about 4 million, the Sultanate of Oman is a country in Southwest Asia on the southeast coast of the Arabian Peninsula. It borders the United Arab Emirates in the northwest, Saudi Arabia in the west and Yemen in the southwest. The coast is formed by the Arabian Sea in the south and east, and the Gulf of Oman in the northeast. Oman’s monarchy is ruled by Sultan Qaboos of Oman. A fully illustrated catalog, Connecting the Gems of the Indian Ocean: From Oman to East Africa, will be available in 2015. It will include essays and photographs about the project.